What will they think of next? 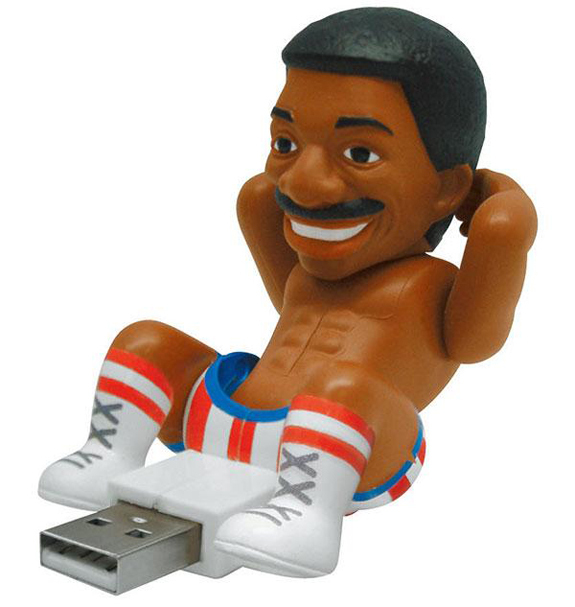 Here we have three new Rocky Crunching USB Drives from the Rocky movies, which do sit ups whilst plugged into your USB port, a great way to keep you entertained at work. There are 3 versions available, Rocky, Appollo Creed and Mr T as Clubber Lang, unfortunately there are no details on how much data each one stores. 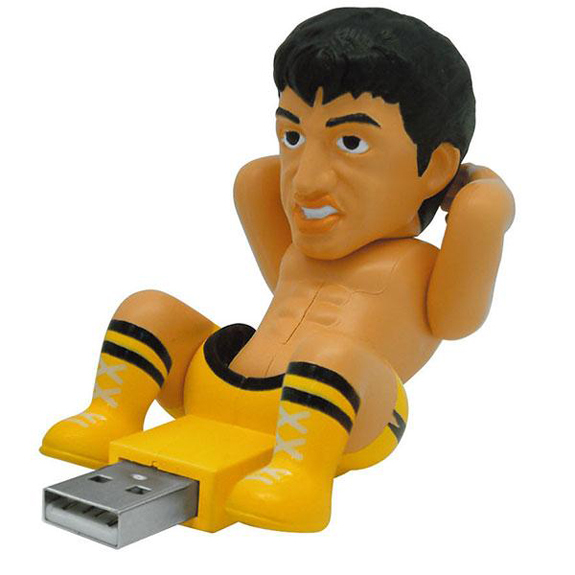 These fun USB drives are a great gift for Rocky and boxing fans, uf you want one they are available to pre-order for $29.64 each from GeekStuff4U.